Numerous folk customs with magical undertones continue to this day. The resting place of Jonathan ben Uziel, a first-century sage, is believed to have magical powers: Visit the grave in Amukah, northern Israel, while you’re looking for love — and you’ll be married within the year. Thousands of couples swear it has worked for them. This is but one of many folk customs with magical undertones that have been performed throughout Jewish history. Such practices continue to this day. Red string bracelets and the hamsa symbol are examples of Jewish amulets that still have popular appeal. 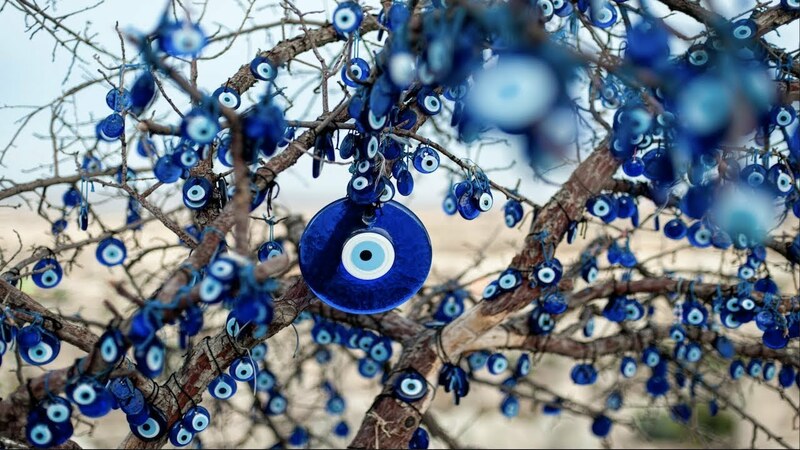 Such amulets, small tokens or written inscriptions have been used by Jews since the time of the Talmud for protection, healing, and warding off the Ayin Hara, the Evil Eye. But these practices are not without controversy. Maimonides disapproved of amulets as well as astrology, claiming that both ideas, while perhaps effective, could undermine normative Jewish belief. Despite this, both have been incorporated into Jewish practice. The zodiac is a central motif in synagogue design of the Talmudic period. A thorough knowledge of astrology is evident in works of medieval poetry by Jewish poets such as Solomon Ibn Gabirol and Eleazar Kalir, as well as works of medieval biblical exegesis by Jewish commentators such as Abraham Ibn Ezra. Jewish belief also gives some credence to the idea of divination or supernatural insight. Generally, divination is broken into two types: telling the future and being able to supernaturally discern events in the present, either in people’s minds or in another part of the world. Dreams, especially dreams of a premonitory quality, have been likened to prophecy (first by Joseph, in Genesis 37:5), though the Talmud also cautions against reading too much meaning into dreams. Curiously, the Talmud doesn’t say that dream prophecies are untrue–instead, it warns that they might be false prophecies created by demons or other malevolent spirits (Berakhot 55b). Demons, spirits, and even certain monsters appear in many Jewish texts. The Midrash describes Lilith as being Adam’s equal at the beginning of creation and then banished from the Garden of Eden, living on as a sort of half-woman, half-demon. Dybbuks and golems are also part of Jewish tradition; some legends about these creatures date as far back as the Talmud. It is taught that a few select holy people in Jewish history received instructions on how to interact with supernatural beings. In the apocryphal Book of Tobit, the protagonist Tobias weds a woman whose previous husbands had been killed by a demon. The Talmud even contains instructions for laypeople on how to detect the presence of demons in their own homes. Perhaps the most overt power attributed to magic by Judaism is the ability to cast spells. From the first acts of Creation, brought about through a series of “speech acts” by God, language is used both in construction and destruction. Uttering one of the names of God is used to accomplish everything from blessing the nation of Israel to destroying the walls of Jericho. Though Jewish magical practices have varied through history, they have always existed as a parallel force to normative Jewish ritual and belief. Belief in the power of amulets persisted widely among Jews for many centuries, and still exists in some communities today. Although it may derive from Islamic or pagan culture, the hamsa today has become a Jewish and Israeli symbol. As have all cultures, Jews have developed numerous superstitious practices applicable to a variety of occasions.